Let’s go backwards. Do something backwards today. Wear pajama’s until lunchtime. Eat lunch foods for breakfast and breakfast foods for lunch. Walk backwards for a certain amount of time. Wear your clothes inside out. Let’s play the Pizza Game. 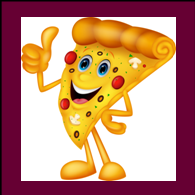 You can find directions for Mr. Steig’s Pizza Game at Summer Fun. You can get a more elaborate idea of the game from the book, PETE’S A PIZZA by William Steig. Get ready for lots of giggles and fun. And, decide ahead of time how many games you’re willing to play, because this one is a game you’ll be asked to do over and over. Let’s write a story. One person starts the story by writing a sentence or two on a page. Each person afterwards takes a turn to add another sentence or two one by one. If both younger and older children are doing the activity, let the younger child dictate her idea about what happens next and have an adult or older child write it for her. Let’s read nursery rhymes. Read your child some nursery rhymes – even if he seems to have “outgrown” them. You can find them in library books or on Internet sites. For younger children, have them do an art project about one they like. They can draw, paint, make a sculpture, or make up a song or dance. For older children, ask them what they think the nursery rhyme meant when it was written, or what they think it could mean if someone wrote it today. For example, what could the water stand for that Jack and Jill went up the hill to fetch? 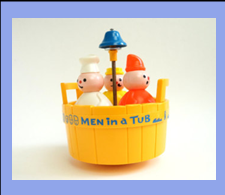 Who could the three men in the tub be and what were they doing there? Let’s have an un-birthday party. Have an un-birthday party for yourself, your child, or a friend or relative. Let your child help prepare the party. Make sure your celebration includes THROUGH THE LOOKING GLASS by Lewis Carroll where the “unbirthday” party idea started. Also include “The Unbirthday Song” from the ALICE IN WONDERLAND movie. Let’s play ball. Teach your child to play ball against a wall. For younger children, use a nerf ball. For older children, if the weather permits, use a hand-sized rubber ball against the house or garage door outside. If you’re rained in, try bouncing against a basement wall. Count how many times your child catches the ball. Catching in a row is the most difficult, but you can make it easier by counting catches over a certain period of time. Make the time pretty short for younger children or those new to the game. For older children, spell words with a letter for each catch. With more than one player see who can spell a whole word without missing a catch. Make it harder by letting one person be the thrower and the other person be the catcher (and speller). This would be a lot like playing H-O-R-S-E in basketball. Let’s play “Feeling Faces.” Play a feeling faces game. You can find examples on the Internet. 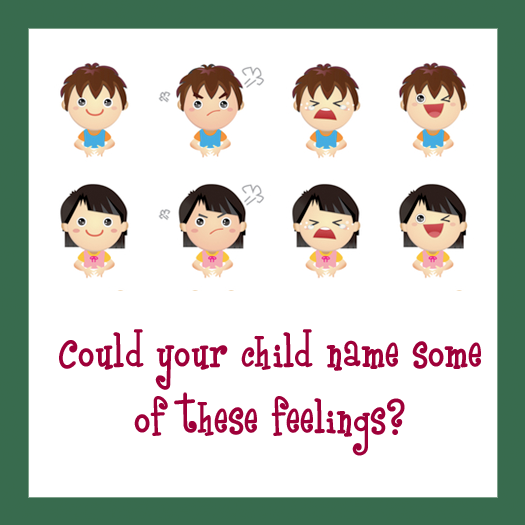 (Search for “feelings faces games.”) You can purchase a game you discover, use one available online, or get ideas about how to make a homemade version. Let’s do music. Sing, play music, or dance together. Plan a “show” that you can perform for your family or neighbors. When you are willing to show your talents, you teach your child it is OK to be talented and to enjoy your talents. Let’s play with a pet. Take your child and a pet out to play. If you don’t have a pet, borrow a neighbor’s pet. 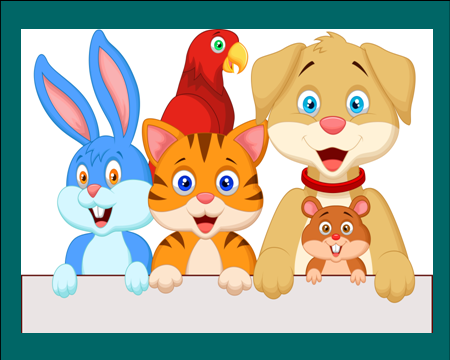 Where to take the pet will depend on the type of animal. For many it might be a park. For others it could be your yard or just letting them out of their cages in the house for some free playtime. Let’s make a calendar. 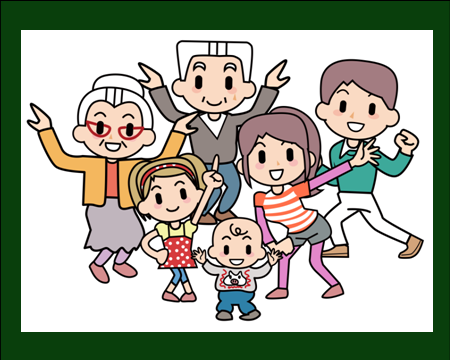 Make a calendar with the birthdays of relatives and friends that are important to your child. Use the calendar to send cards. You can have your child make a card on the birthdays as they come up. Or, if the child is old enough, you could teach him how to send e-cards or notes. Let’s play an alphabet game. Play an alphabet word game. Start with the first letter of your name and name a place or thing that starts with that letter. The next person takes the next letter in the alphabet and does the same thing. Take turns back and forth until you have done the whole alphabet. You can name a category first, if you like. For example, each word has to be an animal, fruit, street name, food, etc. Let’s learn about jobs. Arrange for a field trip or tour of a place where your child can see people (and maybe talk to people) who are working at a job that she plays about when she is pretending or if she is older that she seems interested in as a future occupation. It can be a virtual tour by looking for a TV or video that is about that job. Talk over all that you learn. Art or writing projects are great ways to make a record of an experience. Let’s bake. Bake a cake or cookies. Let your child help decide what flavor, color of icing, and decorations to use. Share the results with a relative or neighbor. More Summer Activities will be posted on July 1.